The question that most new dog owners have on their mind is when do they need to get their new best friend vaccinated. Vaccination is a necessary process when getting a dog or any pet for that matter. It protects against many different diseases and illnesses such as Distemper, Hepatitis, Parvovirus,Parainfluenza, Bordetella, Coronavirus and Leptospirosis which can, in a puppy, cause sudden and unexpected death. To protect your dog against these infectious diseases, everyone knows that you have to have your dog vaccinated, but not many people know exactly what is the right age to have them vaccinated. To answer that, your puppy should at 6-8 weeks of age. But this vaccination is only temporary and therefore must be given again at 12 weeks old. Unfortunately, you cannot take your dog out into public areas until the 12 weeks vaccination has been given. This is because the puppy is still very vulnerable to the diseases and illnesses as they have not been treated for them all, being that some are too harsh for a puppy of 6-8 weeks. After the 2nd vaccination there comes a third at 16-18 weeks old that protects your puppy from Coronavirus and Leptospirosis. However, once your puppy has had their third vaccination all they will further need is an annual booster every year to keep the immune system updated. Your puppy is now ready to and stay healthy around other dogs. Hi Melissa, Thank you for your enquiry. 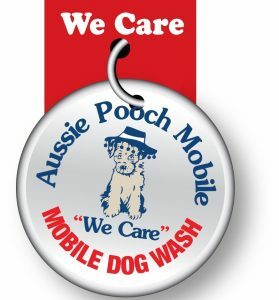 The best thing to do would be to chat to your local Aussie Pooch Mobile operator and they can give you pricing, availability and answer any questions you may have. You can phone 1300 369 369 or click on the below link, fill in your details and your local operator will get back to you ASAP.